Blue Line Hockey presents its 18th year of birth year skill development teams. Practicing once a week, this intense program focuses on skill development in power skating, skating technique, over speed, stick handling, passing, shooting and situational and tactical game play scenarios. Players of similar abilities are placed together to challenge each other and raise levels of play. This program will push your son/daughter to become a better player. Due to the popularity of our programs, we limit class sizes to an optimal team number to allow players to work on individual skill development. All players must be on-ice ready prior to the class with appropriate hockey equipment. 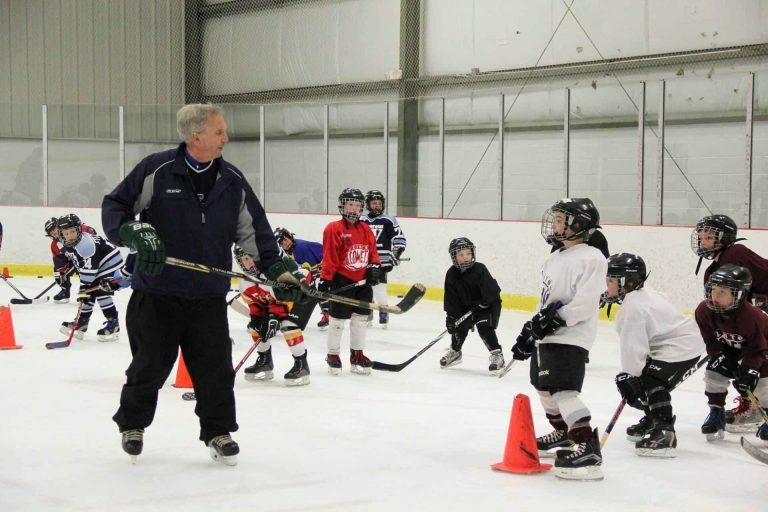 Seven on-ice sessions for birth year classes. Five on-ice sessions for Mites and Goalies. Sundays, 9:30 – 11 a.m.
Wednesdays, 5:30 – 7 p.m.
Mondays, 5:45 – 6:45 p.m.
Sundays, 11:30 a.m. – 12:45 p.m.
Blue Line reserves the right to restrict each birth year to 30 students or to cancel a class based on low enrollment.